Antoine was found outside a live-kill market in NYC. A live-kill market is where people go to pick out a live bird or rabbit...they are then killed right there. All this week, people are going and picking "their" turkey from the hundreds of trembling and scared baby turkeys, smashed against each other in crates. Antoine is safe. From now on, he will not be treated as a something but as a someone. We celebrate his life. And we celebrate all those people who are choosing life over death this holiday season. Today (November 21, 2016) we celebrate the arrival of baby turkey Antoine who was named after the author of The Little Prince, Antoine de Saint-Exupéry. It's one of our favorite books here at Woodstock Sanctuary...all about love and devotion. Antoine was found outside a live-kill market in NYC. A live-kill market is where people go to pick out a live bird or rabbit...they are then killed right there. 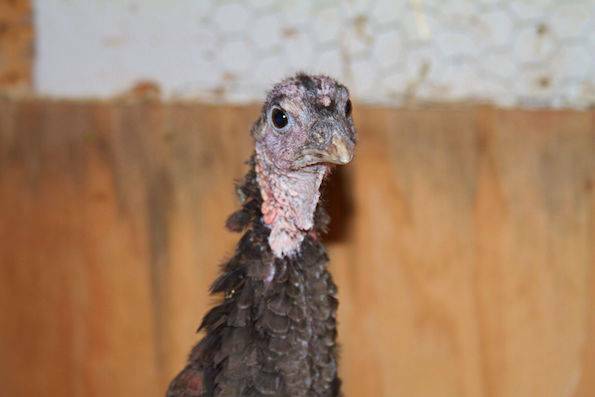 All this week, people are going and picking "their" turkey from the hundreds of trembling and scared baby turkeys, smashed against each other in crates. The amount of suffering in one of those markets is mind-blowing. And that is multiplied by hundreds all over big cities in this country. But Antoine is safe. From now on, he will not be treated as a something but as a someone. We celebrate his life. And we celebrate all those people who are choosing life over death this holiday season. On behalf of Antoine, thank you. He will have a long, happy life thanks to your kindness. 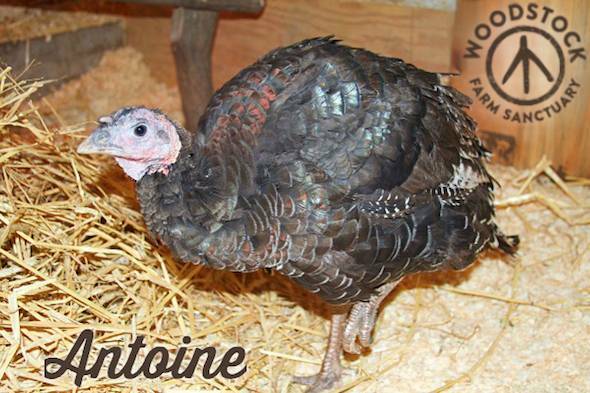 One way to help Antoine and our other animals is to sponsor a turkey for Thanksgiving at the Sanctuary.